Hotel rooms are a drag when you’re gone for several weeks. Dinky little bathroom sinks for washing clothes. Sitting and sleeping on the bed. The noise of doors up and down the hallway slamming. That’s why we prefer plunking down in one spot, renting a house and doing day trips. But sometimes that isn’t practical, or sometimes you have more ground to cover than a day trip allows. This is the first extended trip we’ve done entirely by airbnb’s. We have used them before here and there, for short stays in the states or as one option for a night or two on longer trips. 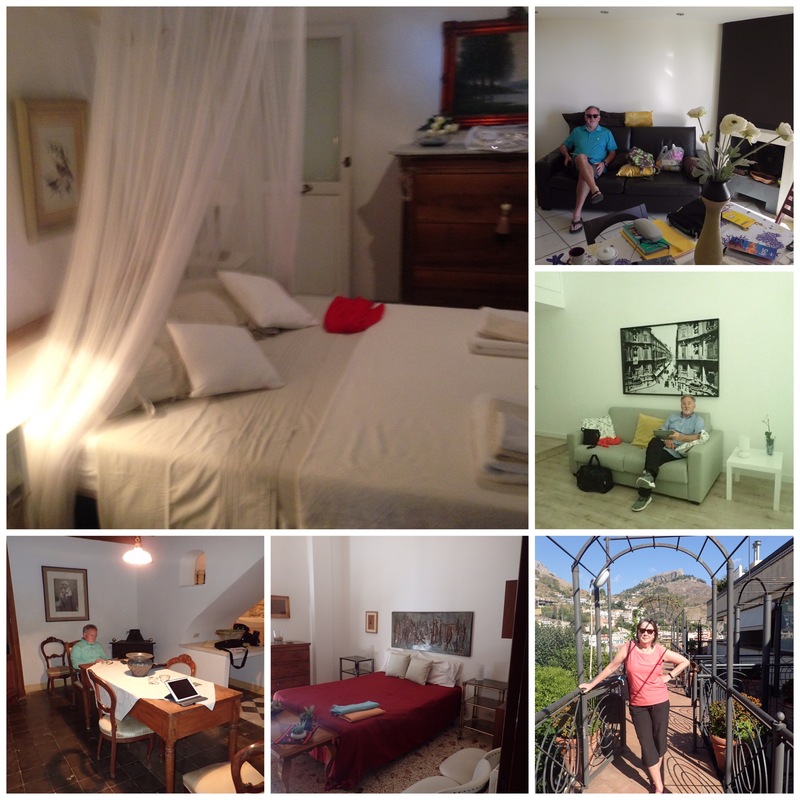 But in Sicily we chose five airbnb’s and one agriturismo. No hotels. Here are our take-always. There’s a bit of anxiety when you’re in a country where you don’t speak the language, the phone system isn’t familiar and there’s no front desk to greet you. While each place gave us good directions (sometimes too detailed) and adequate contact info (addresses, emails, phone numbers) one way streets, driveways that shot off at 180 degrees from the main road and country roads caused some confusion. No real problems, just a tense moment or two. In a three week trip, no big deal. If you only have a week, maybe you don’t want the hassle. Not all airbnb’s were what they appeared to be online. While all were good — modern or historic, or someplace in between — they were not always quite what we had anticipated. It didn’t seem to matter if the units were one in huge complex, or just the ground floor of an old farm house, each had its surprises. One had a drop dead view not quite captured online. And we didn’t expect to be awakened by the construction sounds. Figuring out the locks and keys was more complicated than a hotel key generally is. Our hosts often made our day! A retired woman in Cefalu who left us three umbrellas in case it rained, (it did — a torrential downpour while we lunched under patio umbrellas) beach towels for swimming and pointed out on the map all best markets. In Palermo, we talked schools and education with our host. 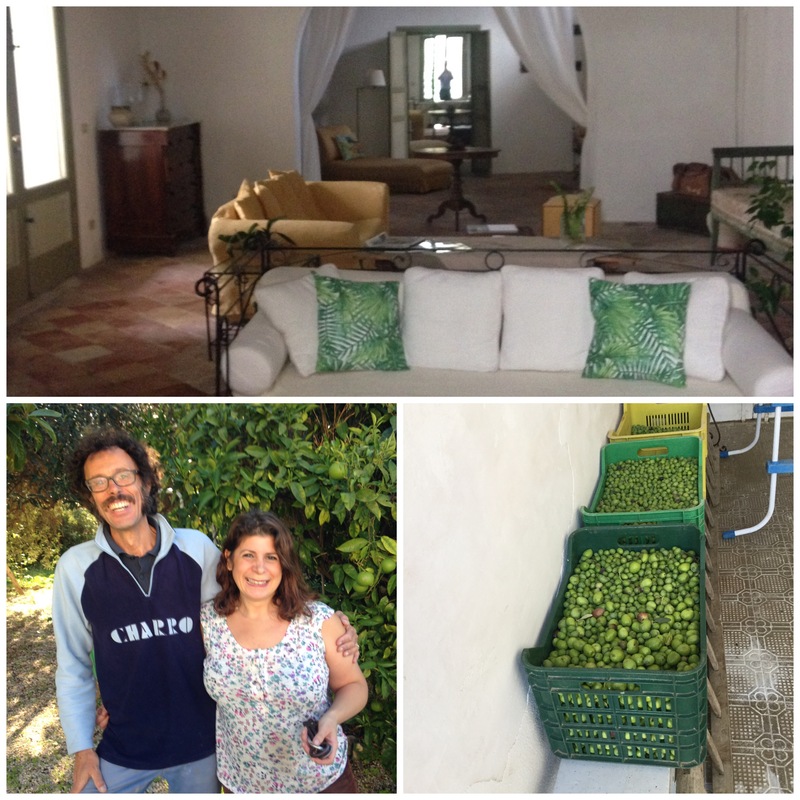 In Trapani we got to watch the family harvest their olives (some huge ones for eating and smaller ones to be pressed for oil) and enjoy their home that had been in the family for 300 years. We stayed two to five nights at each airbnb. And when we weren’t out touring, we had a table for writing, places to layout the map and comfortable chairs for sitting. Just like home. We love the space of an apartment over a hotel room. And we loved being able to fix a breakfast before we ventured out each day. And sometimes we almost felt like a local, nodding to the neighbors who were also sitting breakfasting on the balcony or enjoying an evening glass of wine. And doing laundry in a real machine instead of the sink was heaven. Having a pool, sometimes even a private pool, made us feel decadent. Except for three places, wifi was a problem. 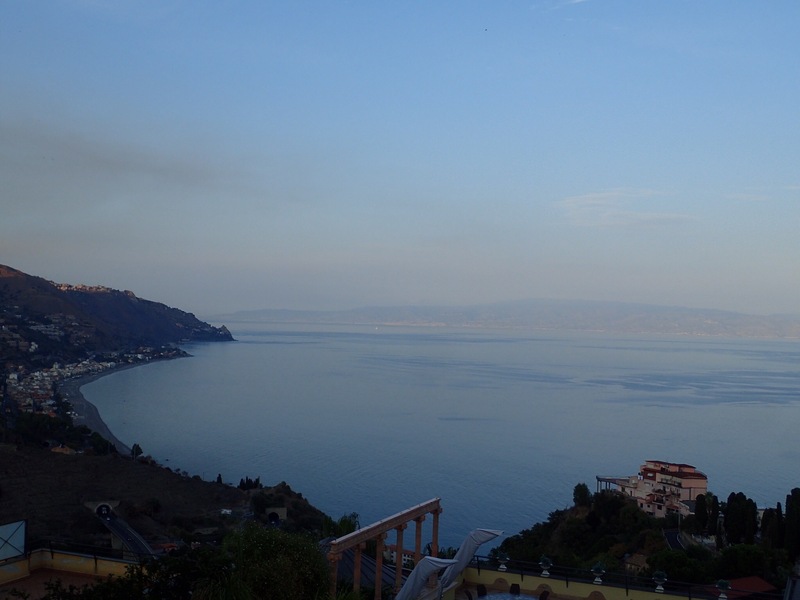 Sicily’s infrastructure may be the real problem. And while we’ve had connection issues before in a hotel, at times we were frustrated on several occasions on this trip, unable to stay connected. In a hotel there might have been some recourse. In an airbnb you go with the flow or lack of a flow. However, we were always able to find a cafe or restaurant that had wifi (and a very entertaining evening at a bowling alley in search of connectivity) so we were able to do e-mail, check the news and do a little writing. The key to successful stays at airbnb’s is very careful reading of the online description. Do your homework! Pour over whatever pictures are available and note what they don’t show you. 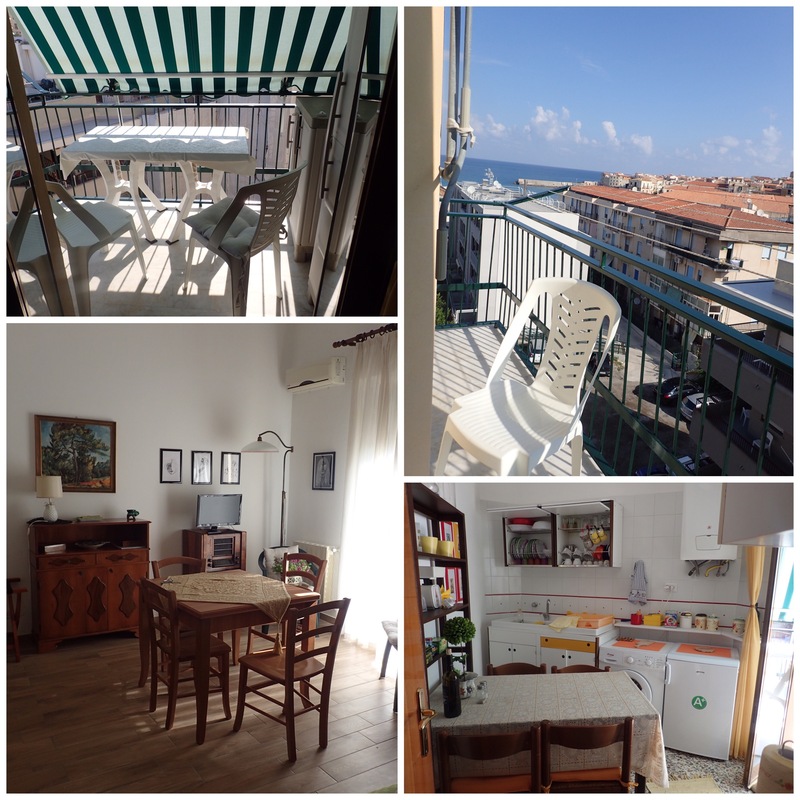 We not only read the descriptions, and re-read the descriptions but also read the reviews, looking for our specific red flags — noise, location, accessibility of host. Locate the unit on google maps. Check out the neighborhoods online or in guidebooks. And know what you want. Elevator or are you willing to up up flights of stairs? Check on parking if you’re renting a car. Gotta have all the conveniences of home? Go for a modern place. Want charm? Look at older buildings. It’s hard to find charm and all the conveniences we’re accustomed to at home in one place, at least on our budget. And be ready to roll with quirks you find in any home. If you want predictability, stick with hotels. Of course, one of the big advantages is the cost. Often airbnb’s cost a third to half of what a hotel room might be. It seems like a really good value to us — more local flavor, more room, and ability to do some simple cooking.